The Westgate SuperBook in Las Vegas has taken sharp action on the Chiefs moneyline for Sunday's AFC Championship in part due to the Patriots' struggles away from Gillette Stadium. The Westgate LV SuperBook makes out great in the futures market if the Chiefs avenge a Week 6 loss to the Patriots in Sunday's AFC Championship game, and two oddsmakers at the sportsbook like Kansas City's chances as the as 3-point home favorite. Westgate director John Murray has been [on the record](https://twitter.com/VSiNLive/status/1085570820380848129) saying he believes the Chiefs will win the AFC Championship by double-digits, and he expects the Patriots' road woes to continue at Arrowhead Stadium. Murray's colleague Jeff Sherman told BetChicago he also likes the Chiefs and thinks the point spread offers value on the favorite. "We had the line anticipated as Chiefs -3.5 prior to Patriots' [lopsided game vs. Chargers](https://www.betchicago.com/chargers-patriots-afc-divisional-round-betting-recap)," Sherman said in a text message. "We didn't need to go higher than 3 based on recency bias and the Patriots' history of support ... but we power-rate the Chiefs higher." __MORE:__ [Scoring outburst puts Patriots in tough ATS spot](https://www.betchicago.com/nfl-playoffs-2019-betting-lines-ats-trends-picks-patriots-chiefs-rams-saints) The Westgate, which has liability on the Pats in AFC and Super Bowl futures, has taken sharp action on the Chiefs moneyline in part due to New England's struggles away from Gillette Stadium. The reigning AFC champions are 3-5 straight up and against the spread this year on the road, losing to five non-playoff teams -- the Jaguars, Lions, Titans, Dolphins and Steelers. The Patriots are averaging about 12 fewer points on the road compared to at home and are 0-5 in trying to reach the Super Bowl after losing in the big game the previous season. Bettors looking back to the Patriots' [43-40 Week 6 win](http://www.espn.com/nfl/game?gameId=401030779) over the Chiefs should note that both teams have changed since then. The Patriots lost deep threat Josh Gordon but gained a healthy Rex Burkhead. The Chiefs parted ways with RB Kareem Hunt but have gotten back Dan Sorensen, Eric Murray and Justin Houston on defense. Pro Bowl safety Eric Berry (heel) is also expected back for the AFC Championship. As the [Boston Herald's Kevin Duffy](https://www.bostonherald.com/2019/01/16/can-the-patriots-limit-tyreek-hill-and-travis-kelce/) points out, Patriots undrafted rookie J.C. Jackson has since emerged as a strong No. 2 corner. New England will need all the help it can get to slow down the Chiefs' potent attack, including running the ball to keep Patrick Mahomes off the field. New England won the time of possession battle by over 10 minutes in Week 6 as they rushed for 173 yards on 38 attempts (4.6 ypc). Sony Michel, who rushed for 129 yards and three TDs against the Chargers, is expected to play a key role in the AFC Championship. His rushing prop is set a 81.5 yards at FanDuel Sportsbook. ## Patriots at Chiefs odds and betting lines Sunday 5:40 p.m. CT on CBS; Odds provided by Westgate __Point spread:__ Chiefs -3 __Total:__ 56 __Moneyline:__ Patriots +135, Chiefs -155 __Line movement:__ The Chiefs opened as 3-point favorites, and the point spread is expected to remain at 3 until close. With [temperature forecasts](https://www.betchicago.com/patriots-chiefs-weather-over-under-total-afc-championship-betting) fluctuating, the total has been on the move up and down this week. It opened at 57.5 and got a low as 55 with reports saying the temperature at kickoff could be below zero. But more recent forecasts [expect a "warmer" night](https://twitter.com/ronflatter/status/1085915747610574850) in the low 20s at Arrowhead. The total has increased to 56 at the Westgate as of Thursday's writing. ## Patriots football betting records SU record: 12-5 ATS record: 10-7 O/U record: 6-11 Patriots road record: 3-5 SU, 3-5 ATS, 3-5 to the OVER (points for: 21.6; points against: 24). __Patriots defense__ At home: 2nd in DVOA (17.9 ppg allowed). On the road: 31st in DVOA (24.0 ppg allowed). <a href="https://twitter.com/FO_ASchatz/status/1084863141752856576" class="embedly-card" data-card-width="100%" data-card-controls="0">Embedded content: https://twitter.com/FO_ASchatz/status/1084863141752856576</a> __Note:__ These are the [Football Outsiders'](https://www.footballoutsiders.com/) team efficiency ratings for the 2018 season, measured by their Defense-adjusted Value Over Average (DVOA) system that breaks down every NFL play and compares a team's performance to a league baseline. __Patriots offense__ Per Football Outsiders, New England's offensive line pass-protection metric [is best in the](https://twitter.com/evansilva/status/1085204079364710400) league. Keeping Brady safe against a Chiefs pass rush that has the most pressures generated in home games this season is paramount in repeating the success the Pats had in Week 6. <a href="https://twitter.com/SharpFootball/status/1085289173525938176" class="embedly-card" data-card-width="100%" data-card-controls="0">Embedded content: https://twitter.com/SharpFootball/status/1085289173525938176</a> ## Chiefs football betting records SU record: 13-4 ATS record: 10-6-1 O/U record: 10-6-1 Chiefs home record: 8-1 SU, 5-4 ATS, 3-5-1 to the OVER __Chiefs offense__ Mahomes didn't play well against the Patriots in Week 6. He [missed numerous throws](https://twitter.com/247KevinBoilard/status/1085916566737354752), including a possible touchdown to Tyreek Hill and a long pass to Travis Kelce. Kansas City ran only 53 plays in the game but still managed 446 yards -- compared to 75 plays and 500 yards from the Pats. In nine home games this season, the Chiefs are averaging 32.2 points per game and face a great matchup speed-wise vs. a slower Patriots unit that plays man coverage at the NFL's highest rate. __Chiefs defense__ Kansas City's defense gets a bad rap, and it's the run defense that is killing the team (last in rushing DVOA). Against the pass, the Chiefs are an average unit, ranking 16th in yards per attempt, 15th in completion percentage, 12th in QB rating, 12th in pass DVOA, ninth vs No. 1 WRs and fourth vs No. 2 WRs. But there's a stark difference between how the defense performs at Arrowhead and how it does on the road. The Chiefs allowed just 17.4 points in home games this season (third-best), continuing a long-term trend of solid D at home. <a href="https://twitter.com/evansilva/status/1084773486025936896" class="embedly-card" data-card-width="100%" data-card-controls="0">Embedded content: https://twitter.com/evansilva/status/1084773486025936896</a> ## Patriots at Chiefs betting trends &bull; UNDER is 11-3 in Chiefs' last 14 home games, with an average score just under 46. &bull; Chiefs are 11-4 ATS in their last 15 games as a favorite of 0.5-3.0. &bull; Teams playing a road game in playoffs after playing three straight games at home are just 3-14 straight up and ATS. Bad news for the Pats. &bull; When a team scores 40 or more points in the Divisional Round, they are just 2-11-1 ATS in the conference championship. Also bad for Brady's bunch. 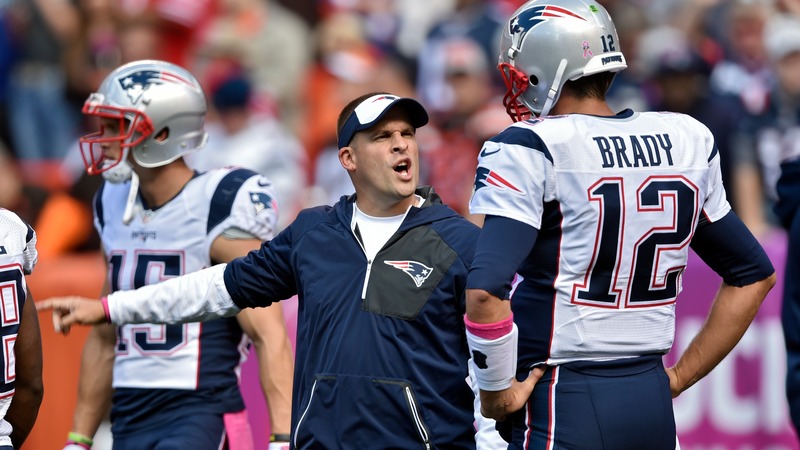 &bull; Patriots are 10-3 ATS in their last 13 road games vs. a team with a winning home record. ## Patriots at Chiefs pick against the spread __Chiefs -3__ The Patriots' dynasty has largely been built by winning games at home, but they are just but 3-4 in road playoff games with Brady. In fact, they have lost the last three AFC championship games they have played on the road, and they haven't won a road playoff game since 2006. The Patriots' stuggles away from home have become even more pronounced this season, and this week they have to deal with arguably the best home-field advantage in the NFL. False starts due to crowd noise can be drive killers, and a few stalled drives could go a long way toward a Chiefs win. In the end, the Chiefs have too much speed for the Pats' aging roster, and the K.C. defense and special teams just do enough to get the win and cover. __Play and win:__ [Join our NFL prop contest](https://betchicago.chalkline.com/games/sunday-nfl-challenge) for a chance to win a BetChicago Prize Pack!